Hello everyone! 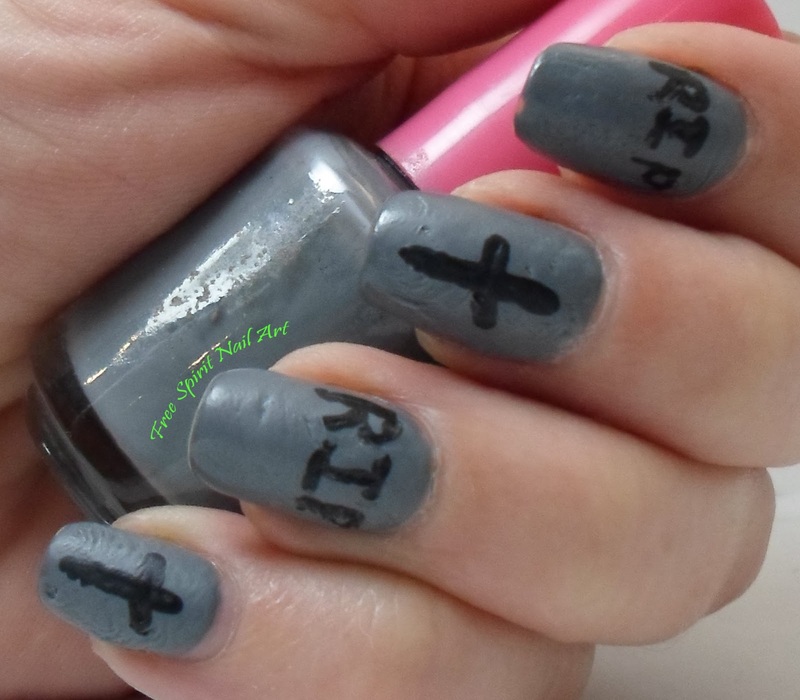 Today I have some tombstone nails to share! 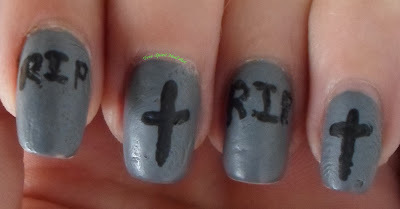 I used a frankened dark gray polish, then Wet 'n Wilds matte top coat, then black acrylic paint to hand paint the lettering and crosses. I tried to add texture to it by dabbing a sponge on it before it all dried and by using a stiff brush to stipple it but it kept leveling back out...go figure...the one time I need it to wrinkle and not self level is the one time it behaves like nail polish should! 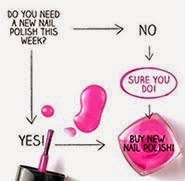 It's definitely a Halloween mani...and that's about it, lol! Sometimes you don't always knock it out of the park but I love sharing my attempts regardless of how they turn out, especially since it will give me something to look back on in later years and see how much I've improved! 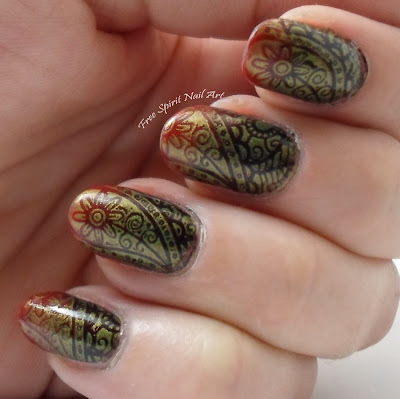 Thanks for looking and check back soon for my next spooky mani!